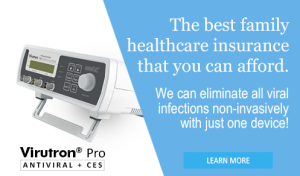 Big Pharma has been selling vaccines as a proactive defense against viral infections. Western pharmaceutical companies are trustworthy manufacturers of medicines because of their continuing research and development efforts. These are some of the presumptions which led to the decision to purchase around $70.2 million worth of Dengvaxia anti-dengue vaccines prior to the 2016 presidential election, which saw the major defeat of those who made the purchase. The highly popular Rodrigo Duterte government is now seeking a full accountability and prosecution of all officials linked to the 11th hour fundraising effort of the last Deep State controlled government. So far, the DFA Philippines has ordered the French pharmaceutical giant Sanofi Pasteur to suspend the sale, distribution and marketing of Dengvaxia and withdraw the vaccine from the market pending compliance with the directives of the agency, while at the same time imposing the company to pay Php 100,000 (about $2,000) and has suspended the certificate of product registration of the company’s dengue vaccine Dengvaxia for a year, after it was found that the pharmaceutical company did not comply with the regulatory agency’s post-marketing authorization issuance commitments. Of course, we already know that this penalty amount of $2000 is just added to the cost of running the genocidal enterprise. “Today this vaccine, after 20 years of development and testing, has been approved in 19 countries. Two of them – the Philippines and Brazil – have initiated targeted public dengue vaccination programs in areas where the dengue burden is heavy. Periodic safety reports to regulators, ongoing long-term trial results and experience collected from post-marketing surveillance of the vaccine’s impact continue to be shared regularly. All this knowledge about the vaccine is building an understanding of how best to target dengue for vaccination, both within Sanofi and among other research teams working in this field. Given the complexity of dengue infection, Sanofi continued to work with the scientific community to assess the long-term effectiveness of the vaccine. One hypothesis to be explored was the possibility of diminishing benefit of the vaccine in people without a prior dengue infection before vaccination. The vaccine trials were run mainly in endemic countries so most of the people had a prior dengue infection. So, in order to look back and examine more closely the vaccine’s performance in people who did not have dengue before being vaccinated, Sanofi had to develop a new test that could distinguish antibodies generated in response to vaccination from those due to natural dengue infection. Development of the test was a complex process and it took close to a year to validate it, conduct supplementary analyses of the long-term clinical trial data and compile the results. In the interim, results from our long-term follow-up continued to show significantly fewer hospitalizations due to dengue in vaccinated individuals nine years and older compared to those who received placebo. These published findings helped to substantiate the overall public health value of the vaccine in settings where dengue continued to be widespread. A panel of experts from the Philippine General Hospital has recommended the suspension of the dengue vaccination program since the Dengvaxia vaccine is not 100 percent effective. The vaccine’s efficacy rate is only 60 percent and this rate is low compared to the cost of the vaccine, the panel said as revealed by Health Undersecretary Eric Domingo in a press conference on Friday, according to a report on Balitanghali by Chino Gaston. The panel said the funds allotted for the vaccination program may be better used in other anti-dengue measures such as cleaning of environment and ensuring that Aedes aegypti mosquitoes carrying the dengue virus do not grow in number. However, the panel noted that even if the use of Dengvaxia caused problems, it remains to be effective against dengue for those who have had the disease before. Among those who have been injected with the Dengvaxia vaccines prematurely, because of the desire of the then incumbent Deep State-Philippine Oligarchy captive government of Benigno Aquino III to prolong its power by raising enough funds for the planned and executed electoral manipulation of its favored presidential candidate, Manuel Roxas, have died recently, and still counting. If not for the overwhelming “people power” through the ballot, which defeated the attempt to subvert the people’s will and propelled the Duterte government last May 2016 instead, this scheme would not have been exposed. What is despicable is when the EU political “humanitarians” continue to condemn the “human rights violations” of this government, while being silent about its own genocidal cleansing against 830,000 vaccine victims. All of those who died have expired through massive internal bleeding, with the most pronounced in the brain, and bloated liver, kidneys, spleen and heart. About 800 more are in critical condition right now. What is not acceptable at the moment is that the current DOH secretary has a conflict of interest since he was once an undersecretary of the erring DOH secretary when the massive immunization efforts were conductive nationwide. 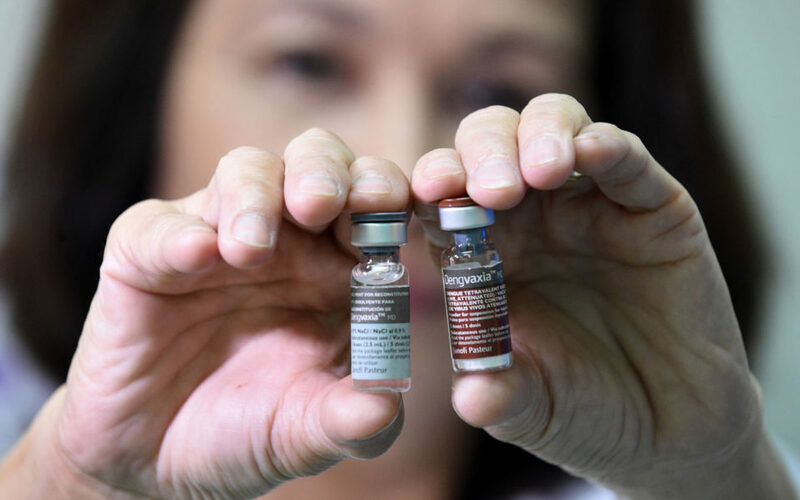 UNLESS the Department of Health (DoH) accepts that Dengvaxia poses a serious health risk to individuals inoculated with the anti-dengue vaccine, more victims will suffer from severe dengue, anti-corruption advocates warned Sunday. The Volunteers Against Crimes and Corruption (VACC) called on Secretary Francisco Duque 3rd to be open to the findings of local investigating bodies like the National Bureau of Investigation (NBI) and the Public Attorneys Office (PAO) on the issue. Dante Jimenez, founding chairman of the VACC, said the health secretary is in denial as far as the anti-dengue vaccine issue is concerned. He called on the DoH to give priority to the safety of the public. “He (Duque) is on a denial stage and he cannot accept the reality that Dengvaxia is a failure and has already killed several individuals in our country,” Jimenez said in an interview. The DoH during the administration of President Benigno Aquino 3rd spent P3.5 billion to procure the vaccine manufactured by Sanofi Pasteur, which was registered with the Food and Drug Administration (FDA) in December 2015. The government procured it in March 2016. The Dengvaxia vaccine did not complete the final stages of testing prior to the massive inoculation. This should reflect on the moral values of Sanofi company. No amount of monetary compensation will satisfy the damage it has done on the country. This company should be banned for life. We don’t need your poison, you murderous thugs!!! Next post: CRISPR Gene Drive: Ecosystem Conservation, or Total Annihilation?